People living with HIV may soon have a way of knowing whether a new therapy could get them closer to a long-term and drug-free remission. Antiretroviral therapy is effective for controlling the virus. But, the goal for patients and the scientific community alike remains to find a cure for HIV—one that doesn’t involve a daily regimen of drugs. A group of scientists and clinical investigators are now taking on the challenge of identifying biomarkers that could speed up the development of a cure for HIV-infected patients. To support their efforts, the National Institutes of Health (NIH) recently awarded them over $8.5 million in funding. When a patient undergoes a therapeutic intervention, physicians currently have no way of knowing whether the treatment worked. Their only option would be to take the patient off antiviral drugs and monitor how long it takes the HIV virus to rebound. However, if the virus rebounds very quickly, it could significantly worsen the patient’s condition and place his/her partner at risk of infection. The research team aims to find powerful biomarkers to predict whether a treatment will be successful. Physicians could then use the biomarkers to know whether a potential therapy shows promise and keep patients with ineffective cure interventions from risking treatment interruption. In addition to being highly valuable for making informed clinical decisions, these biomarkers could also provide new insights into the biology of HIV latency and suggest new ways for scientists to attack viral reservoirs. To find biomarkers, the researchers will use banked blood and plasma samples from 125 HIV-infected volunteers who participated in various clinical trials, as well as samples from the “Boston patients” and Timothy Brown, known as the “Berlin patient,” who was cured of HIV infection. The samples were obtained before treatments were interrupted and at the time the virus rebounded. As part of this research program, Greene will collaborate with several colleagues from the Gladstone Institutes, including Director of the Convergence Zone and bioinformatics expert Katherine S. Pollard, PhD, Staff Research Investigator Gilad Doitsh, PhD, and Visiting Investigator Nadia R. Roan, PhD (who is also an assistant professor at UC San Francisco.) In addition, the team includes Satish K. Pillai, PhD, from the Blood Systems Research Institute, Garry Nolan, PhD, from Stanford University, and Robert F. Siliciano, MD, PhD, from Johns Hopkins University. 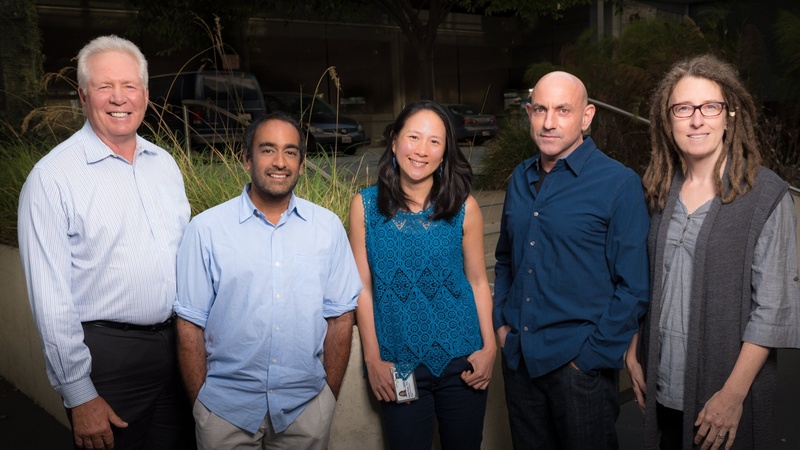 The group was awarded a grant (P01AI131374) in the amount of $8,519,126 over 5 years by the NIH’s National Institute of Allergy and Infectious Diseases. Their project is funded as part of the Program Project Grants, which support groups of investigators with complementary expertise who pool their skills and resources to collaborate on a research project. These grants “represent synergistic research programs that are designed to achieve results not attainable by investigators working independently,” according to the NIH.